Get to know your employees as people — Take an interest in their life outside of work. Offering praise when they reach a life milestone or support during hard times like losing a family member doesn’t go overlooked. When employees know you care, they respond with a deeper commitment to the company. 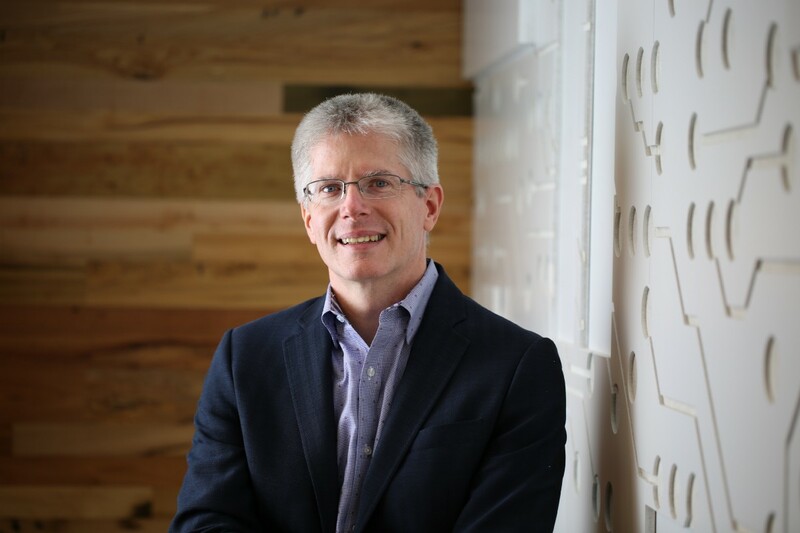 I had the pleasure of interviewing Ed O’Brien, CEO, eMoney Advisor, a financial planning software company striving to help advisors provide financial peace for all. I have always loved technology. The introduction of home computers in the late 70s and early 80s really fueled my interest to pursue a degree in computer science. When I began my career with Fidelity about 30 years ago, I relied on my background in computer science to automate important services that made investments more cost effective for the general public. I spent much of my career focused on automation and efficiency, which was great, but I wanted to see how we could use technology to make more of a personal and emotional impact on people. So, it was a natural progression to eventually become the CEO at eMoney Advisor, a company that creates technology for financial advisors to deliver both the financial and the emotional elements of holistic planning. My colleagues always go overboard for my birthday. The term decorating doesn’t do it justice. They fill my office to maximum capacity with balloons, streamers, confetti, signs, cakes, you name it. It’s safe to say that I have had more hoopla for my birthday during my time at eMoney than I have in my entire life. It may seem like just a fun gesture, but it’s something I take to heart. It gives me a sense of how I have connected with the people that I work with, beyond getting the job done. Our mission at eMoney is to help people talk about money through our technology and create products that enable financial peace of mind for all. Currently, we’re working on new products and services that would bring financial planning concepts and education to underserved groups, which is exciting but also necessary. According to this study cited in Forbes, more than half of the US workforce is unhappy. Why do you think that number is so high? A lot of companies don’t value employees as individuals. They are very focused on business results and goals, but they don’t stop to recognize that their employees have aspirations. They have weaknesses that they want to be developed. They have unique strengths that they want to be recognized. Plus, they have lives outside of work. I think many people in the workforce don’t feel intrinsically valued by their employer; they feel like just a giant cog in the wheel. Productivity and profitability are connected to employee wellbeing. Unhappy or dissatisfied employees often feel more stress and have less ability to balance work and life. This can lead to losing sleep, fatigue and lack of productivity and engagement. It’s a vicious cycle really. On the other hand, a happy workforce is not only more likely to be productive but also more willing to go the extra mile. Employees who feel valued are more likely to give discretionary effort beyond individual goals. They do more to contribute team goals or help a colleague. They’ll stay late to help a customer. Employees who feel valued are typically more invested. They proudly identify as part of the company, and their work ethic and contributions reflect that. Live the company values — Don’t just talk about the values but demonstrate them. At eMoney, one of our values is fun. So, you better believe you see our leaders having fun and doing their part to make sure their teams do too. And if this means taking a pie in the face — like I have at our annual employee picnic — then so be it. Leaders have to participate in company culture to make it real. Recognize accomplishments big and small — I’m not shy with praise and neither is my team. When we hear that someone goes above and beyond for a client, we reach out directly to say thank you and keep up the good work. At eMoney, we also have a peer-to-peer recognition program, which allows our employees to reward one another with points and messages that are visible to the entire company. Points can be redeemed for merchandise, gift cards, charitable giving and experiences to make it meaningful to the individual. Communicate consistently — We strive to keep our employees looped in and informed and do so via multiple channels. Aside from sharing information with employees, we encourage them to give us feedback. We have a true open-door policy. In fact, I don’t even have a door because I gave up my office. I spend time at each of our office locations, and I like to be visible, right in the center of things, not secluded in a corner office. Believe in your product — If you don’t make it clear that you believe in your product, your employees won’t either. And it’s more than just saying you believe in it. You have to prove its value.At eMoney, we spend a lot of time sharing client success stories to show our employees how their work has made an impact on our clients and our clients’ clients. We need to realize that work shouldn’t expand just to fill hours. Let’s foster commitment vs. time spent. A career is more than punching the clock. Other countries work less hours, and productivity is the same or higher. If we want our employees to perform to their highest potential, let’s make sure they have the energy to do so. eMoney is a tech company, so we operate with agility. I’d like to think my leadership style is agile too. I’m flexible and accommodate my leadership style to fit the needs of those who I am managing; however, I trust them to do their jobs. I strongly believe that you should find the best people you can, surround yourself with them and then get out of their way. I entered college as an engineering major because it seemed like a safe bet. But I had two professors at Stonehill College — Louise Hegarty & Ralph Bravaco — who encouraged me to pursue my passion, which was computer science. At the time, it seemed risky because computers in the 80s were not what they are today. It was a newer field of study. Professors Hegarty and Bravaco inspired me to take a chance on something they knew I was good at and enjoyed, which undoubtedly influenced my career path. I am very grateful to have had them as teachers who took genuine interest in my future. Working in financial services and fintech for the past 30 years has enabled me to focus on creating technology that helps people achieve their financial goals. A common goal for people is leaving a legacy for others, which is something that motivates me every day. I’ve also worked on creating technology that makes philanthropic planning a larger part of wealth management, which benefits the charities and non-profit foundations that bring goodness to the world every day. I have three grown sons. When they were young, we often read “The Little Prince” by Antoine de Saint Exupéry. To this day, it’s one of my favorite stories and my favorite quote is a famous line from the book: “It is only with the heart that one can see rightly; what is essential is invisible to the eye.” This connects to my passion to use technology for good, to help financial advisors use their hearts and provide services to their clients that go beyond managing their money. Historically, financial planning has been a service aimed at the wealthy. At eMoney, we build technology that gives more people access to financial plans. We’re currently working on a solution that helps influence and shape behaviors that lead to financial wellness and peace of mind — for the average person. 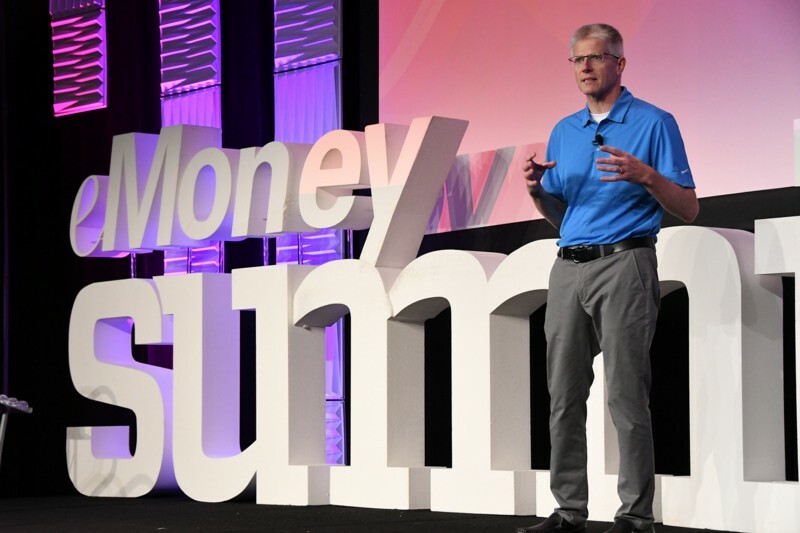 Inspiring a movement that changes people’s financial behaviors and increases access to financial planning tools is something that motivates us every day at eMoney.